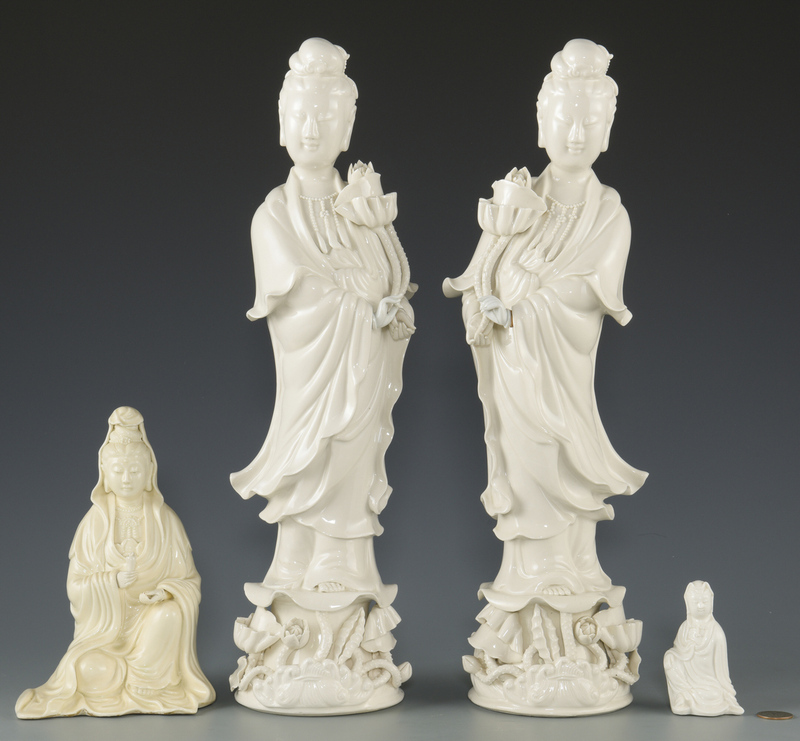 1st & 2nd items: Pair of large Blanc de Chine Quan Yin porcelain figures depicted standing atop deep relief flowering bases holding lotus blossoms. 18 1/4" H. 20th century. 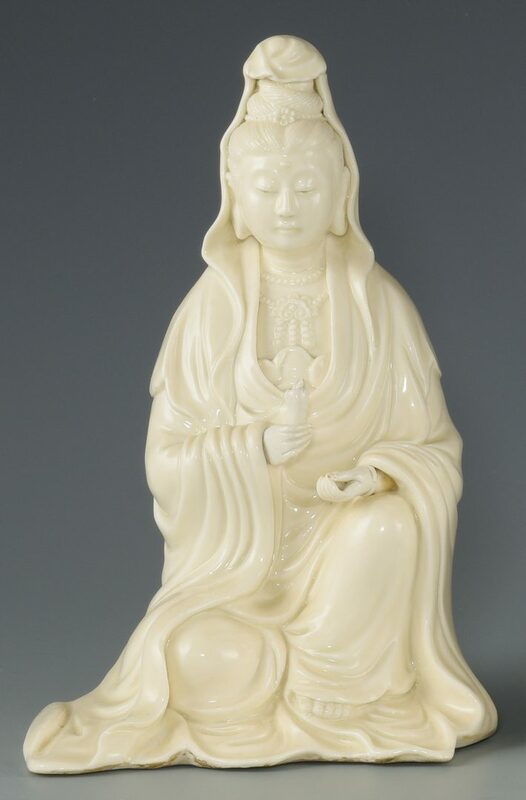 3rd item: Japanese Blanc de Chine Quan Yin porcelain figure depicted kneeling, holding an object with flowing robe. 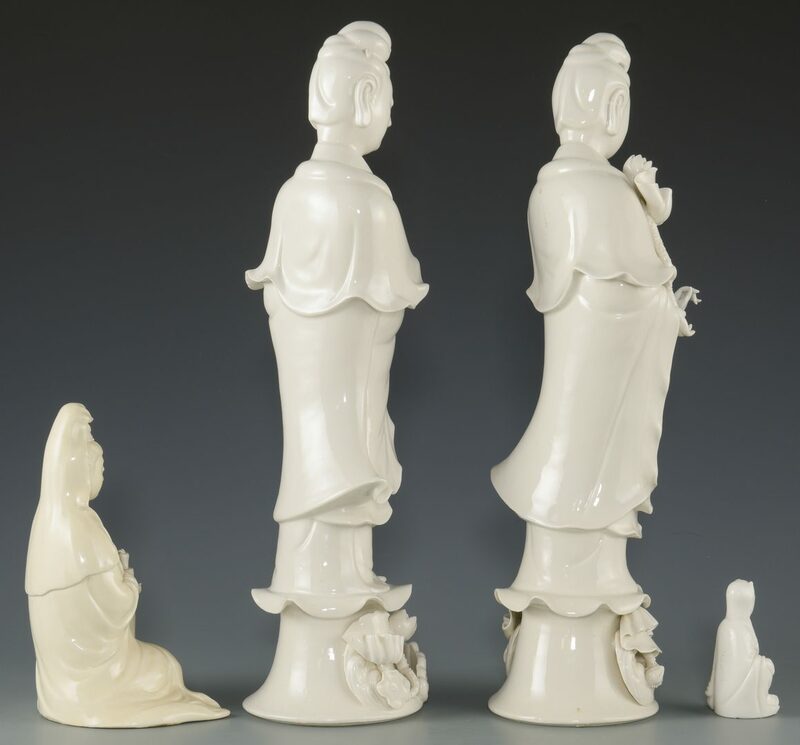 Base stamped "Japan". 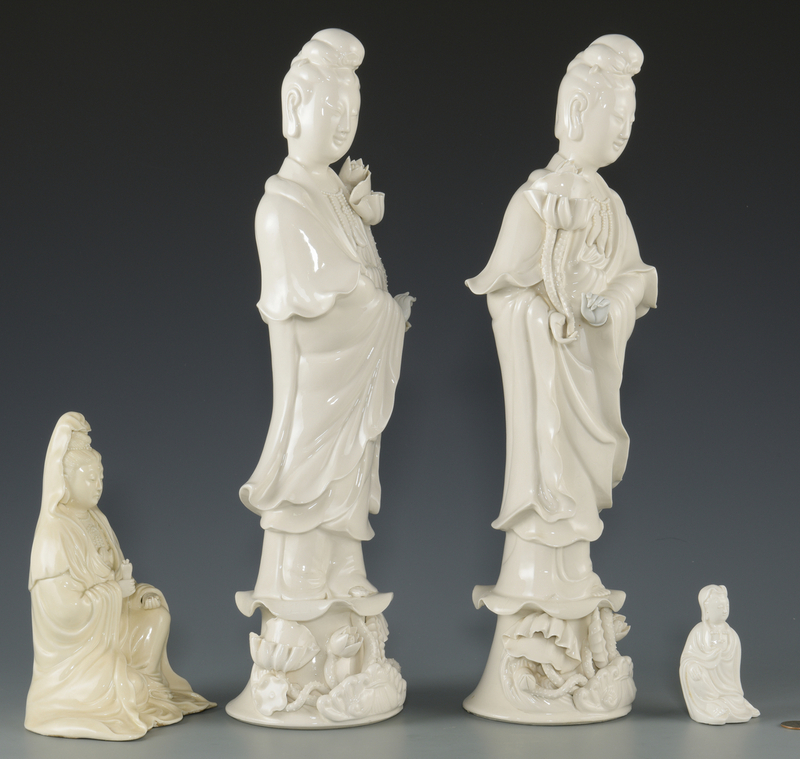 8" H. 20th century. 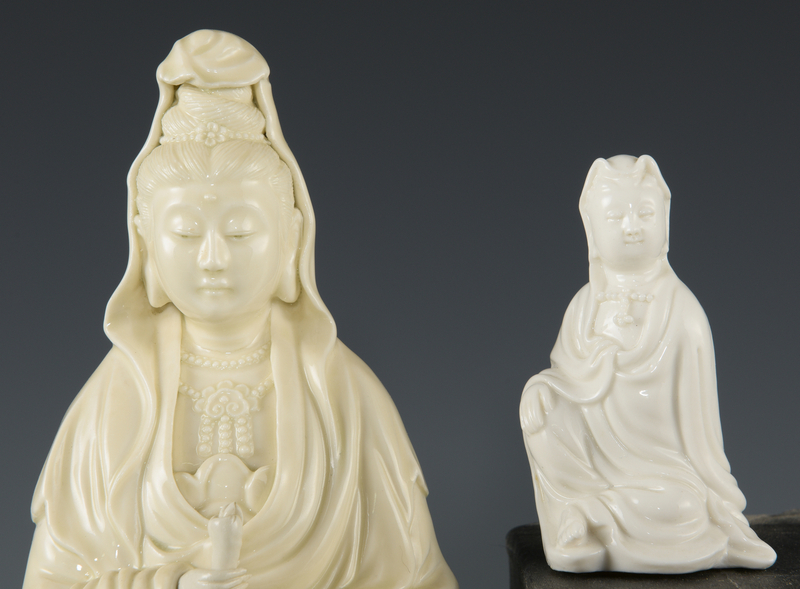 4th item: Miniature Blanc de Chine Quan Yin porcelain figure depicted seated. 3 1/2" H. 20th century. Provenance: Private Knoxville, TN collection. 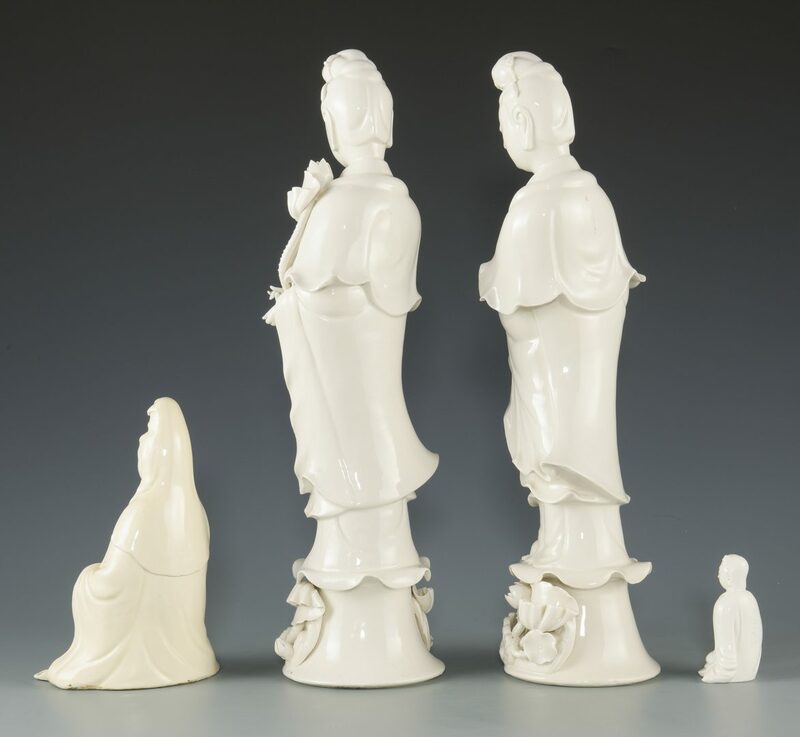 CONDITION: 1st & 2nd items: Break to left hand of one figure, otherwise very good condition. 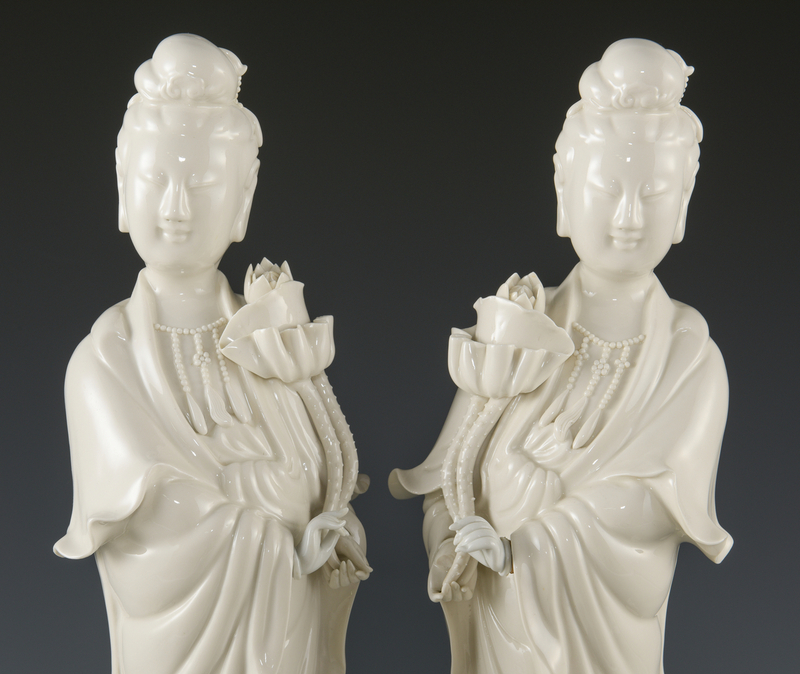 3rd item: Break to fingertips of one hand, break to object in opposing hand. 4th item: Very good condition.